What does Google Penguin 2.0 Do? Make sure you make a great site that user’s love and will want to tell friends about. Do all the things that make a site compelling. There will be a webspam change dedicated to find black hat webspam that is more comprehensive. There will be stronger enforcement on advertorials that violate Google’s quality guidelines. Advertisements should not flow page rank and there should be clear and conspicuous disclaimers so that users realize they are paid advertisements and not organic or editorial. Google is working on ways to go upstream to deny the value to link spammers. There will be a more sophisticated link analysis. Matt explains that there will be better hacked site detection. Google will continue hacked site detection and offer better communication with webmaster through Google Webmaster Tools to help clean hacked sites. If you are doing high quality content when you are doing SEO, you shouldn’t have to worry. The team is working on ways to help regular webmasters. The team is looking at Panda to help refine things that are in the gray or border zone to help sites that may have been inadvertently affected. Here is Matt’s video, What should we expect in the next few months in terms of SEO for Google? 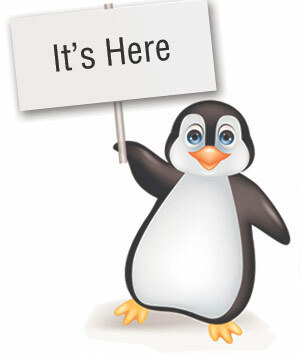 Have you seen any significant changes in search engine rankings since Penguin 2.0 rolled out? Please let us know in the comments. Thanks for this post explaining what our penguin from Google is doing and the likely consequences are. It takes a lot of understanding to keep abreast with all the changes that are coming through the system and you deliver. John, I am glad to hear that you liked this article recapping Google Penguin 2.0. I appreciate your kind words and for taking the time to read this and to comment.